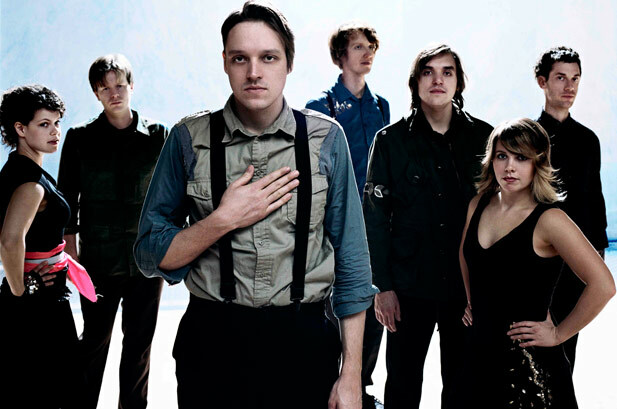 With the release of their album of the year ‘s special edition comes two new track from Arcade Fire. Rejoice! The Suburbs, which has catapulted the band into mainstream adoration to the same level of their cult following, will be released with the bumper extras on June 27th. The two new tracks are called ‘Culture War’ and ‘Speaking in Tongues’ (which features David Byrne), and you can stream them below. They fit in very with the rest of the album. I only have one issue with them. Hearing these songs after listening to such an obvious and conclusive closing track in ‘The Suburbs (continued)’ will be quite strange and anti-climactic. But it is always good to hear new stuff from such a great band. In addition to the tracks, the short film made with Spike Jonse is in the new cut, along with a documentary, photos, lyrics and a music video of ‘The Suburbs’. This entry was posted on 23 May, 2011 at 8:54 pm and is filed under News, Stream, Uncategorized with tags arcade fire, culture war, deluxe edition, speaking in tongues, the suburbs. You can follow any responses to this entry through the RSS 2.0 feed. You can leave a response, or trackback from your own site.